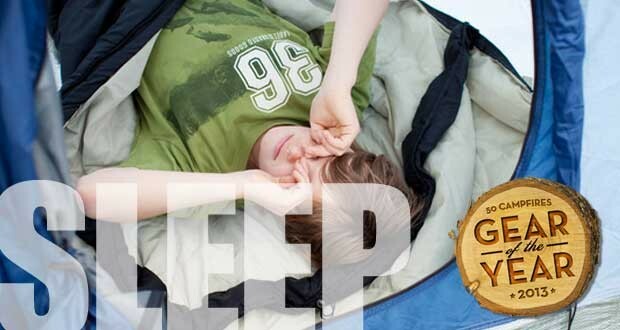 For most of us the two essential items on our camping checklist are a tent and sleeping bag, so the editors here at 50 Campfires put their heads together to determine the best sleeping gear for family campers. 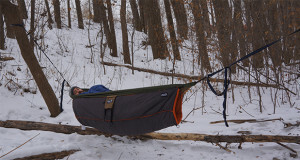 From sleeping bags to tents, the editors chose the top 5 sleeping gear based upon hands-on review, research and design. 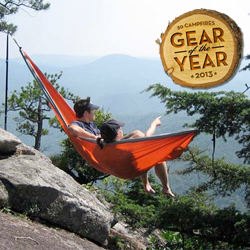 Read on to find some of the best gear of the year for 2013. If you’ve never seen a LightSpeed tent being set up, you’re missing out. 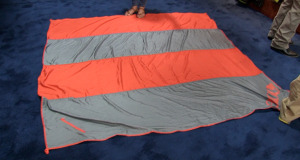 Their compression hub and telescoping poles allow a tent to be set up in a little over a minute. The Maine 6 is a perfect tent for family campers. The floor is spacious and easily fits an air mattress with room to walk around. It stands nearly 6 feet tall and we love it’s two large doors and big windows for great ventilation. The rain fly has 2 vestibules providing space to store shoes or gear. 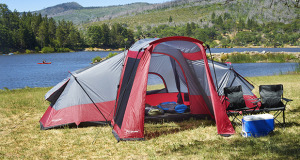 You’ve got to love a tent that sets up so quick, allowing you to spend more time relaxing. Remember when hammocks were made of net? So awful. 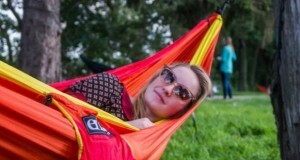 Those days are over thanks to the uber comfy ENO Doublenest hammock. It’s soft, more like a bed sheet, yet is very durable material. 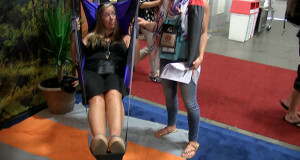 It’s also roomy, easily allowing 2 people to lay comfortably. Hands down the best thing about the Doublenest is that it sets up fast. Like 2 minutes fast. When you’re done it easily stuffs in to a small compression sack. We thoroughly enjoyed spending a night in a hammock over the standard tent. 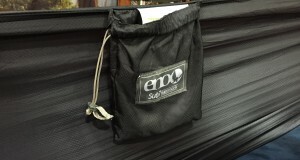 Grab yourself a nice camp pillow and the ENO Guardian Bug Net and give it a try. 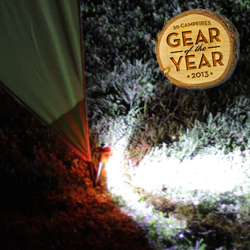 The Coghlan’s LED Tent Pegs make a late night run for relief a little safer. Ok, that’s not it’s sole purpose but who hasn’t tripped over a tent stake in the dark? It seems to happen to us more frequently than it should. Thank goodness for these LED tent pegs. They are a highly durable tent peg, but have an added single LED light that rotates up 45 degrees with a twist ON-OFF that lasts up to 30 hours. 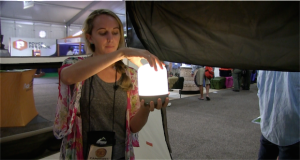 It helps you from tripping over guy lines and can illuminate a tent door for easy entrance. At such an affordable price these are a no-brainer to pick up. The worst part about camping is packing up and trying to fit everything back in to the tiny little bags they are “supposed” to fit in. The Ticla G.O.O.D. kit puts an end to this struggle. 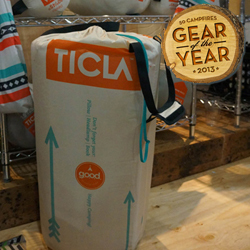 This kit comes complete with their Tsubo sleeping mat, choice of Ticla sleeping bag and packing bag. 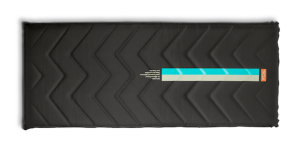 The sleeping bag is so comfortable and soft; it was truly made with the customer in mind. What we absolutely love about this is at the end of your trip, loosely roll everything up, pack it in the bag – and off you go! There’s even room for a pillow, headlamp and book! Whether you are backpacking or heading out car camping with the family, saving space is important. Especially with the most important item: your tent. 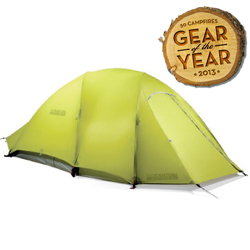 The Easton Hat-Trick tent is roomy enough for 3 people and has a full mesh body offering excellent ventilation, but still provides waterproof protection. 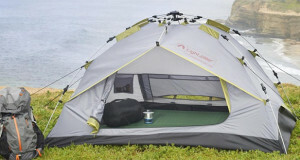 And these tents are strong, using carbon fiber poles that are hard to break. 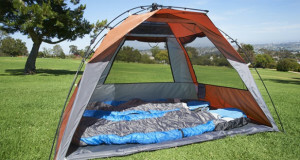 One of the biggest reasons we love this tent is the storage space. The tent has a storage loft and extra space in the vestibule. 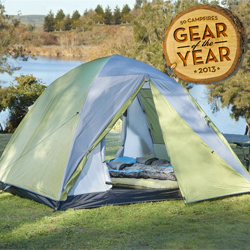 This lightweight tent is perfect for family camping in any conditions.